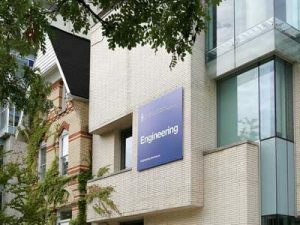 Under the University of Toronto Quality Assurance Process (UTQAP), the University reviews all Faculties, units and their programs a minimum of every eight years. These reviews provide an unparalleled opportunity to secure the expert advice of leaders in the field concerning academic and administrative issues, assess performance against leading international programs, and secure guidance on key strategic directions. The Faculty of Applied Science & Engineering underwent an external review in 2016-2017, with a site visit on January 31 to February 2, 2017. The review was commissioned by the Vice-President and Provost, and included a self-study that addressed the visit terms of reference and discussed the Faculty’s accomplishments, culture of excellence and progress in achieving our academic goals since our last provostial review in 2010-2011. A summary of the review was presented to university governance and made broadly available to faculty, staff, students and alumni. For any questions on the review process, please contact governance.fase@ecf.utoronto.ca. The Academic Plan 2017–2022 was approved by Faculty Council on Dec. 12, 2017. Learn more.